Day 127: Training with Dr. Jay McTighe! 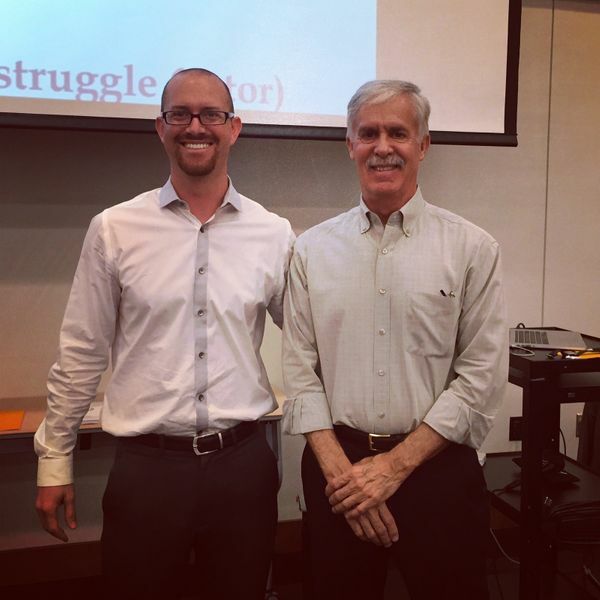 Today I spent (most of) the day at a workshop with author/consultant/educator Dr. Jay McTighe, co-developer of Understanding By Design, the curriculum framework used by Austin ISD (and many other educators across the world). It takes a lot to get me excited about assessment, but he did a great job providing resources I can use tomorrow in addition to things for me to metaphorically chew on. Good training is energizing!